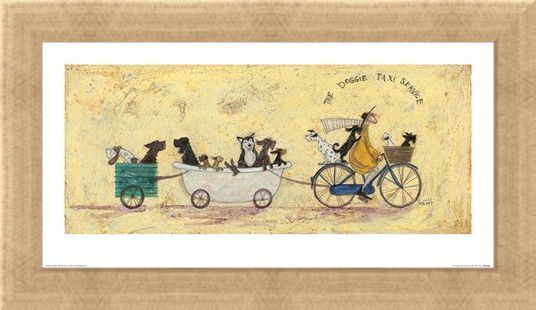 Take a trip with Ernest Hemmingway Mustard as he treats a host of four legged friends to an ear flapping ride on the 'Doggie Taxi Service'. 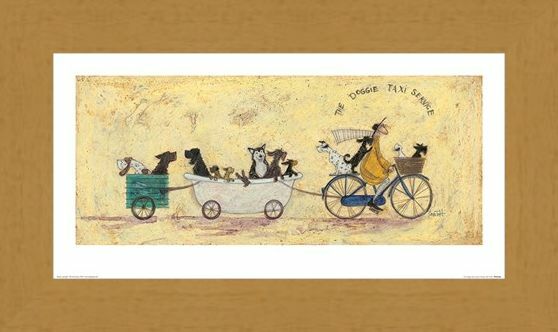 His companion Jack Russel; Doris sits proudly in his basket as two home-made tandem carriages bounce along behind him, full with happily howling pooches. 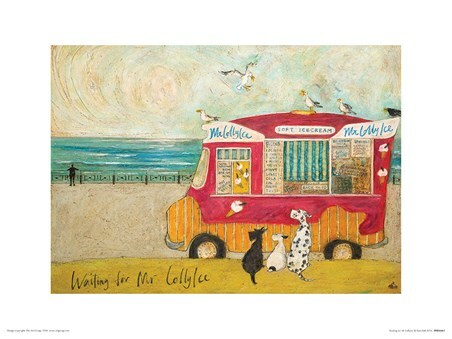 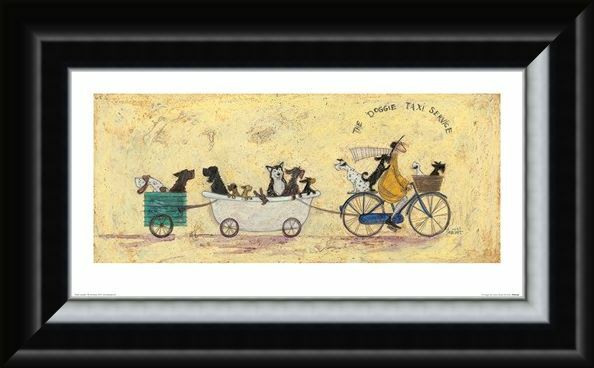 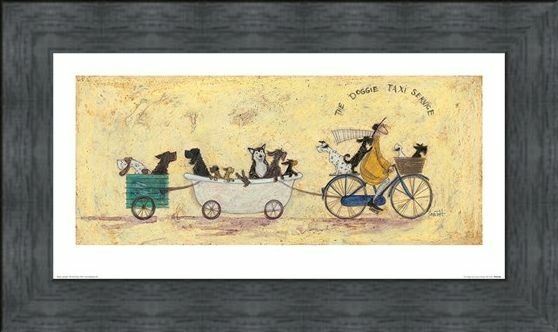 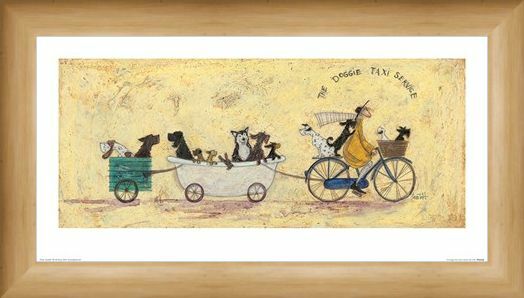 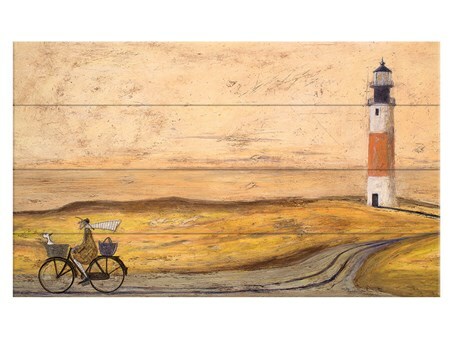 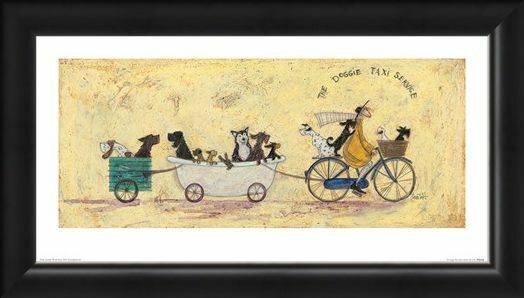 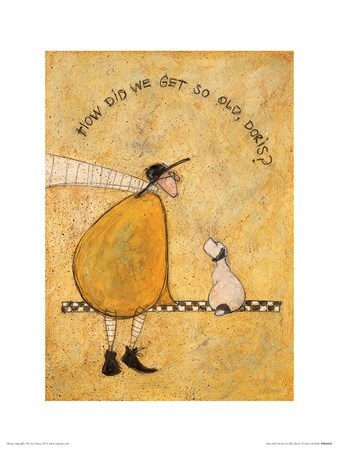 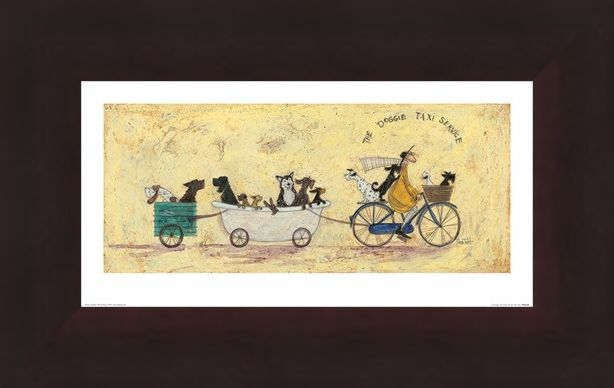 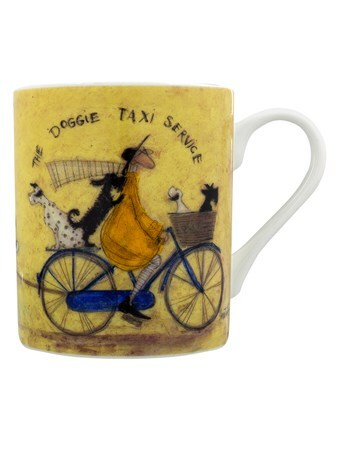 This quirky print from the amazing Sam Toft is the ideal way to decorate your home if you love dogs, or if you sometimes feel like a taxi service for the whole family. 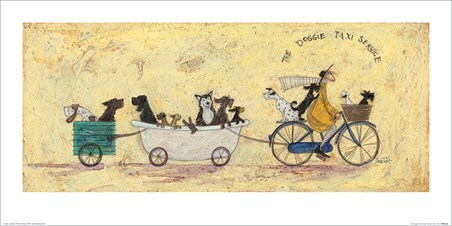 High quality, framed The Doggie Taxi Service, Sam Toft print with a bespoke frame by our custom framing service.